Foxboro, Mass. - Scituate left no doubt Saturday at Gillette Stadium, defeating Nipmuc 35-14 in the MIAA Division 5 state championship game. 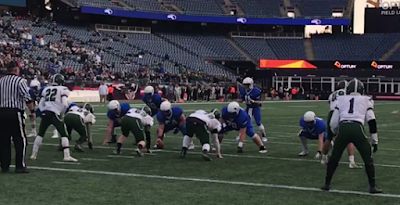 The Sailors are Super Bowl champs for the first time in school history, and our Matt Siegel was field level at Gillette to bring you the highlights. Check those out below.